Social media is a wild and ever changing world. Because of it’s dynamic nature it’s really easy to make a ton of mistakes. Mistakes are an inevitable aspect of human life. The best thing we can do is to learn from mistakes. I’ve always been told it’s better to learn from other people’s mistakes then to experience them yourself…which is why we have looked for some of the biggest mistakes people make in social media, and how to avoid them. Cross publishing is when you use a third party social media application to share the exact same message to one or more social networks. Cross publishing is not sharing the same links or content…it’s sharing the same message. For example…you may have stumbled across a status update in your Facebook news feed that looked like a tweet. This may be a case of cross publishing. Why is cross publishing a mistake? One of the first reasons is that every social network has different demographics. If you don’t believe me then check out the demographics for yourself. Your followers on Twitter, Facebook, Instagram, Pinterest, Tumblr, etc are mostly going to be different kinds of people. Some networks are younger. Others have a higher rural population. Minorities are more prevalent on certain networks. I could go on. If the demographics are different then you’re probably going to need to use different messaging to appeal to your followers. When you cross publish you’re using the same messaging so it’s likely that your content won’t be as well received by your followers. Take time to customize your message for your audiences. It’s fine to share the same content, but you should almost always modify your messaging. Beyond just the demographics each social networks will have different optimal times to publish content. I’m not going to tell you what the best times are because it would probably be completely untrue. Why? Because your audience peak times of engagement are probably not going to be the same peak times for engagement for the entire network. A common mistake a lot of people will make is to listen to “social media gurus” who will say you should post at x,y,z times because most people use that social network at those times. Don’t do it. If you really want to know the best times to post you’re going to need to use software to figure out what times your followers are online for each of your social networks. So that person sharing the same content from their Twitter account to their Facebook account is not optimizing their post to get in front of the most eye balls possible. Along with screwing up your ability to optimize your posts…sometimes your fans on Facebook will also follow you on Twitter or other social networks. When this occurs you’re exposing your messaging to the same fans multiple times. 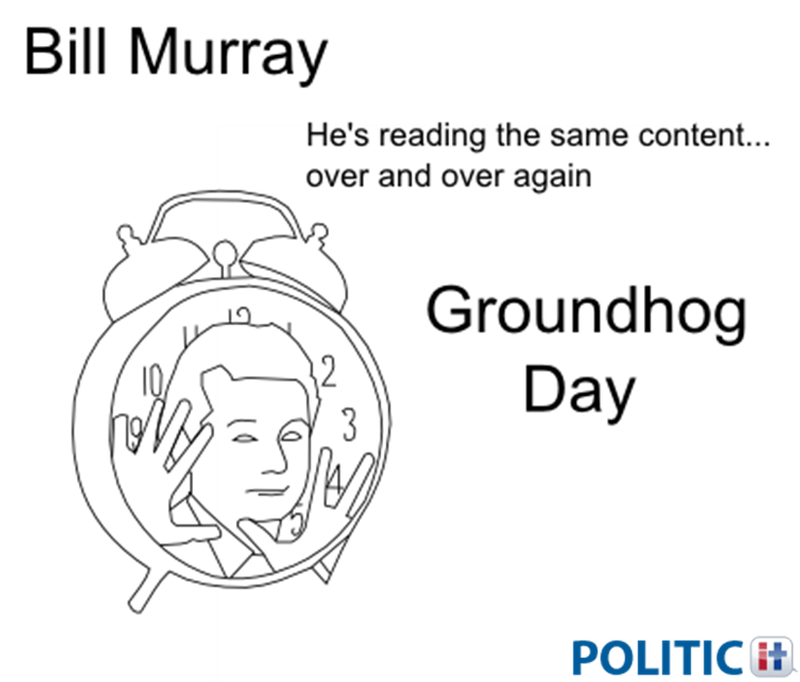 I call this Ground Hog Day posting. No one wants to keep seeing the same thing over and over again. This isn’t true for all people, but it is certainly true for me. When I see a cross published post it makes me believe that the person sharing it is lazy and ill-informed. They won’t take the time to create a unique post for multiple networks, they don’t understand that different social networks have different followers, and they are being disrespectful to their core fans who follow them everywhere. It should be noted, however, that sometimes it’s good to share the same content with your fans on multiple networks. Just don’t do it all the time, and when you do be considerate of the demographics of each network by modifying your messaging. Occasionally I’ll stumble across fowl language in my news feed. For me this is often a pleasant surprise, but others might not find it so enjoyable. According to a study by psychologists at the University of Arizona, swearing in the presence of others is positively correlated to a decrease in emotional support. Even though correlation doesn’t necessarily equate to causality, the implications of this study could suggest that swearing on social networks may lead to less engagement. That means less likes, favorites, retweets, shares, comments, etc. The study also notes that an opposite correlation may exist for younger demographics where swearing may serve as a binding catalyst between peers. My parents always discouraged my swearing by pounding into my brain that the use of swear words illustrates a lack of vocabulary. Others may believe this as well. 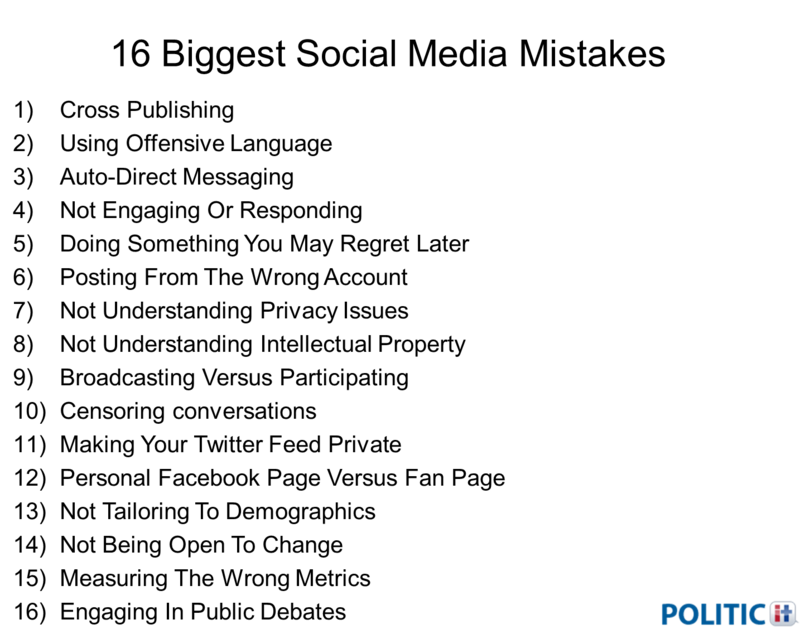 If people believe that swearing illustrates a lack of intelligence then the use of swear words may turn off certain audiences. 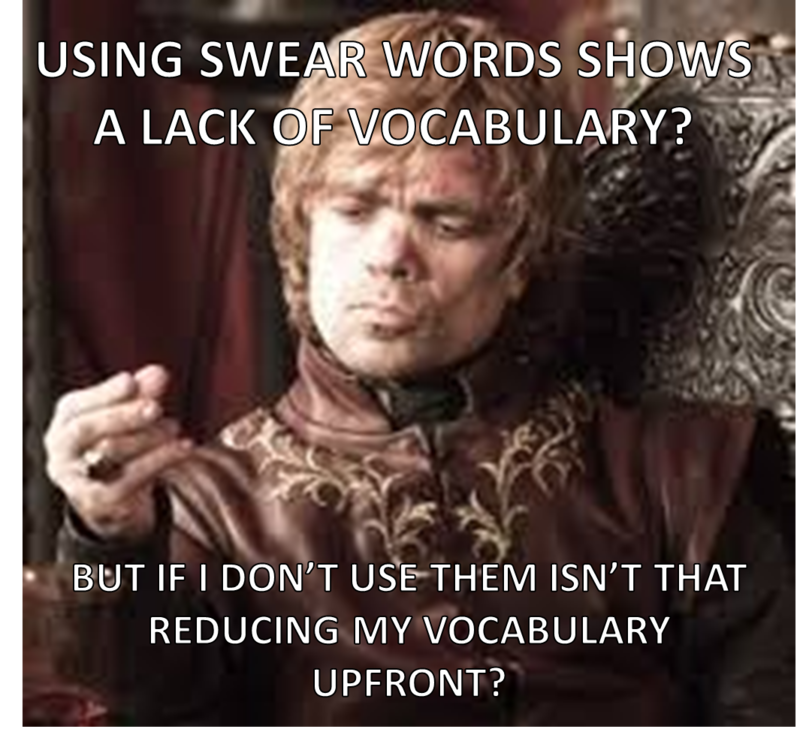 Using swear words may cause other people to view your content in a less serious light. This isn’t always a bad thing…it just depends on how you are attempting to appear to people, who you’re targeting, and how you want your content to be perceived. Notice how the use of swear words at the beginning of this video helps set the tone for a non-serious, and entertaining pitch (targeted towards young males). Even the title has a swear word in it. Swearing may work for some audiences, but as a rule of thumb you should probably not use swear words on social networks…especially if you’re a politician. Remember…whatever you publish online can potentially live there forever, and get shared with anyone. You may produce an advertisement that’s targeted towards a younger demographic that gets played in mainstream media because it’s inappropriate. As a political candidate or special interest group you’re probably better off never using swearwords which is why we included it as one of the biggest mistakes you can make. I often strategically follow people on Twitter in an effort to build my following around specific interests. With every new follower I get, regardless of the social network, I try to take time to send them a meaningful private message. I do this on Twitter through direct messages. Using direct messages on Twitter can sometimes be very difficult, however, due to the flood the auto-direct messages I receive. Example of auto direct messages. Personally this is a huge pet peeve of mine because it undermines the effectiveness of direct messages. People are less likely to use direct messaging if they are receiving an onslaught of irrelevant direct messages. Automated direct messages are mostly irrelevant. I often unfollow people who use direct messaging tactics, and I’m not alone. According to a study by Optify, the use of auto direct messaging lead to a 245% increase in unfollow rate. This means that using auto-direct messages causes people to unfollow you on Twitter. Twitter even recommends unfollowing people who use auto direct messaging. Using canned automatic messages to welcome a new followers tells your new follower that you’re too lazy to take the time to send them a personalized welcome. 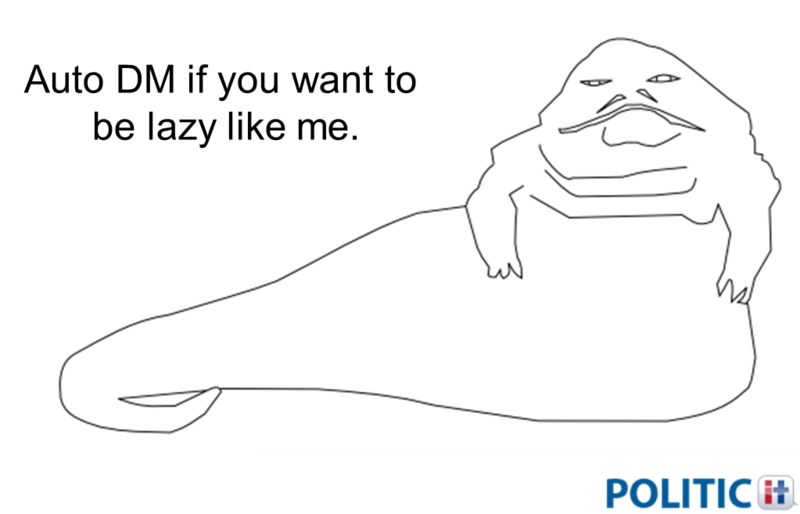 I’d like to think this would be the approach that Jabba The Hutt would have taken…if social networks hadn’t gone out of style in his time. When I don’t receive a personalized welcome on Twitter I feel like the person I’m following doesn’t really care about me because they’re not willing to take the time to greet me with a personalized message. 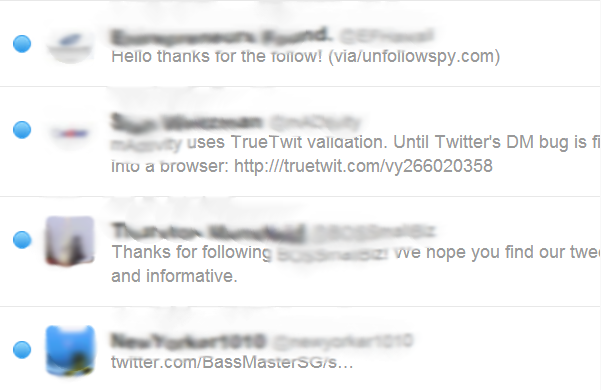 Twitter users who typically use auto direct messages are spam bots. When you use auto direct messaging other people may associate you with spam bots. This isn’t good for your personal brand. Don’t use auto direct messaging. It’s not worth it. Instead…take the time to reach out to new followers. 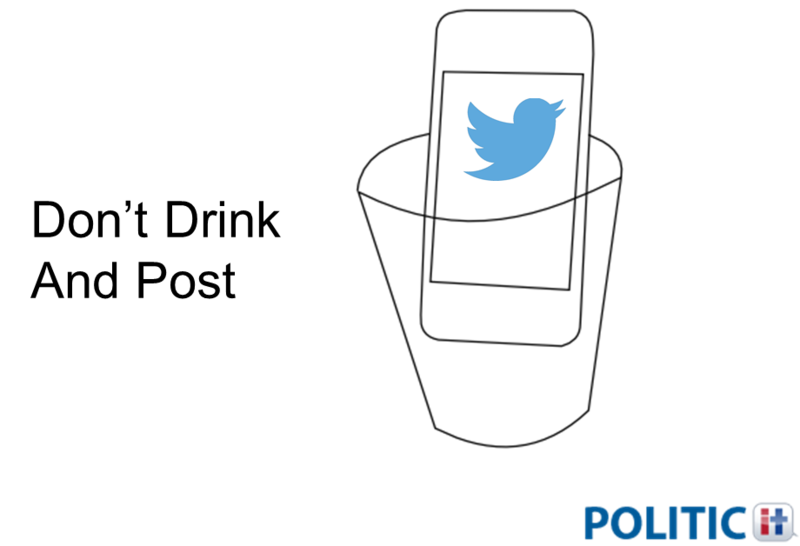 If you don’t know how you should check out this article, “How To Use Twitter For Your Political Campaign With Only 20 Minutes A Day“. I was recently chatting with a friend in the presence of his girlfriend. I asked him a question, and he didn’t hear me. An awkward silence ensued where his girlfriend felt somehow obligated to the repeat the question for me until a response was given. We’ve all experienced this. Your having a conversation with someone, you ask them a question, and they don’t respond. Having other people listening to the conversation always makes it more awkward. Imagine if you’re talking to someone in a public place where thousands of people are listening to you, and it takes them days to respond. This happens all the time in social networks, and it’s one of the biggest mistakes you can make. Someone mentions you, and you wait a long time to respond. According to research by Lithium Technologies, more than 70% of people expect a response when they mention a brand on Twitter. The majority of people even expect a response to be given in less than an hour. What happens if you don’t respond in a timely manner on Twitter? 60% of respondents said there would be negative consequences. 29% said they would tell friends and family about the experience. 26% said they would spread the experience across the internet through other social networks and forums. On the flip side if you do respond quickly positive things happen like getting your brand recommended on social networks (49% of respondents) or recommending friends and family to buy from your brand (43% of respondents). For politicians this may translate into votes. Obviously, these are quite demanding figures. Most people don’t have the resources to respond in less than an hour, but what are some things you can do to make responding a little easier? Smart phones can be used to ensure prompt responses. Simply download the social network application on your phone, and set it up to notify you when things happen on your social networks. My phone is configured to do this. Whenever someone mentions me on Twitter my phone notifies me the same way it does when I receive a text message. Same goes for Facebook. This makes it really easy for me to keep in constant contact with my connections or other miscellaneous users. I also configure my social networks to send me email when someone mentions or interacts with me. This usually helps me respond to users within a day because I generally check my email at least once per day. Having someone work full-time on managing your social networks can greatly help your response time. Consider hiring someone to help you manage your online brand. Though this study only followed response times on Twitter, it is probably safe to conclude to some degree that users will have similar expectations on other social networks. As a politician you should be aware of these expectations, and be willing to respond in a timely manner or suffer the consequences of the angry mob. I’m sure we’ve all heard about the Anthony Weiner Twitter scandal. There’s even an entire Wikipedia page dealing with it. Congressman Anthony Weiner publicly tweeted this inappropriate picture of his crotch to another Twitter user. It went viral. He resigned. He also made the mistake of using a 3rd party photo storing tool called yFrog. Weiner didn’t understand that photos shared using yFrog are all visible on yFrog’s site in a timeline…so anyone venturing to his account could have seen all of his pictures. 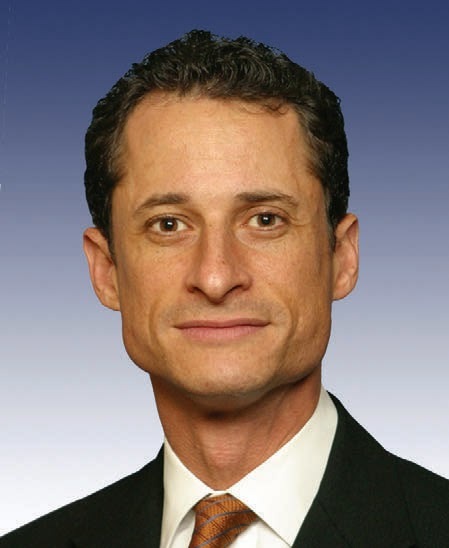 To make matters worse, Weiner ran for mayor of New York recently and more sexting accusations arouse. Apparently he had been sending explicit pictures to women after he resigned from congress under the alias “Carlos Danger”. He didn’t pull out of the race, and ended up only garnering 4.9% of the vote. One of the biggest mistakes people make online is saying things, or doing things they will regret later. There are generally three cases of this happening: when the user thinks it’s a private conversation, when someone produces content that comes back to bite them, or when someone becomes emotionally compromised and lashes out at another user. I’ve got news for you. Anything you do or say online is public. People can find it. Google stores everything you do using their services, and they have the right to do whatever they want with it. That means gmail, Google Search, etc. Social networks store everything you type into them. Every photo you post is stored somewhere. 3rd party apps that you use, and even free online games will use your data. There are even companies out there that can recover all of the data off of your phone after it is destroyed. On the user side…you can easily take screen shots of private conversations with your smart phone or with your desktop computer. One of the funniest things I’ve come across recently is Snapchat. It’s a mobile social network that allows you to share images or videos that will only appear for a short duration of time with other users on the network. 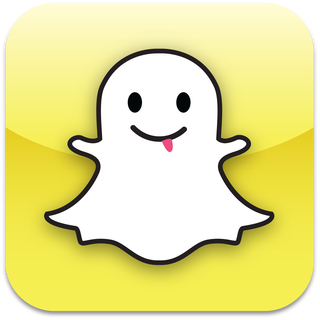 What baffles me about Snapchat is users use it to send sexually explicit pictures to other people. If another user takes a screen shot of the photo it notifies you that a screen shot was taken. Somehow Snapchat users feel like this is safe because their pictures aren’t visible forever, and people are discouraged from taking screen shots in fear that the pictures will stop coming. Except…photos taken with Snapchat don’t actually disappear. They end up being stored on your phone, on the receivers phone, and in Snapchat’s server (source). Not so safe. Anthony Weiner obviously did not take this to heart. You should. Treat all of the conversations you have online as public conversations. I had the pleasure of meeting Jack Hunter on a number of occasions. He is always cordial, and is enjoyable to have conversations with. 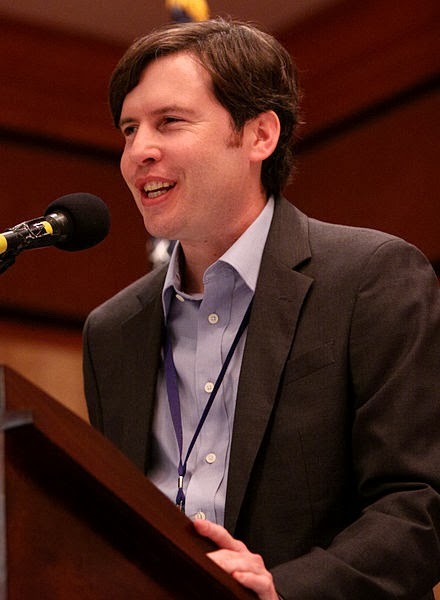 He previously served under Senator Rand Paul as an aide, and even helped the Senator write his book, “The Tea Party Goes To Washington”. As Senator Rand Paul began to gear up for a presidential run in 2016, old controversial writings of Jack Hunter came to light. The writings were broadcast throughout mainstream media, and eventually lead to Hunter resigning from the Senator’s staff. The moral of this story is to remember that the content you publish, and share online can exist there indefinitely despite your current beliefs. Be cautious about what you publish. The cerebral cortex is the portion of our brain that allows us to have logical thought. 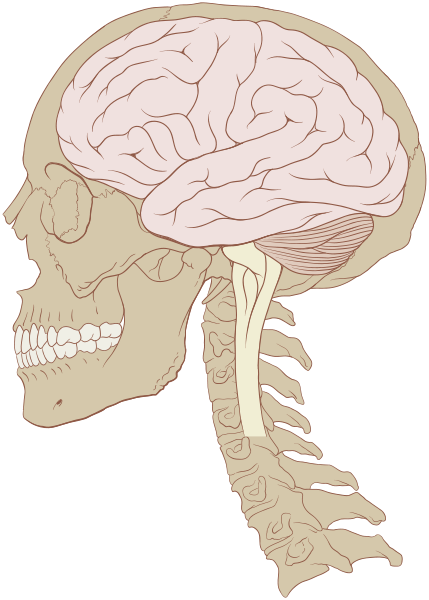 In located in the frontal lobes. The amygdala is part of our brain that houses our animal instinct. When you touch a hot surface you’ll notice that your hand will immediately withdraw itself without you having to ponder that the surface is even hot. This automatic withdrawal is triggered by the amygdala. Obviously both the cerebral cortex and the amygdala play an important part in our daily lives. But what happens when we get angry, or experience some overwhelming emotion? When we feel extreme emotion blood flow is diverted away from our cerebral cortex, and is directed towards the amygdala. In essence, our body is saying that there is some danger and we need to get out of it. This explains why we sometimes say or do things that we later regret when we’re emotionally compromised. It’s really easy to become emotional on the internet with so much conversational material floating around. A really big mistake people commonly make is responding to someone in social networks when they’re emotionally compromised. This often leads to people saying or doing things they’ll later regret. How do you fight it? How do you regain control over logical thought? I’ve found two ways to accomplish this. The first way is to force blood flow back to the cerebral cortex by attempting to solve mental math problems. When I get angry I begin to do addition in my head. By forcing my mind to solve math problems I am able to quickly regain control over my emotions, and deal with the problems I face. The second way is to wait it out. Find something to distract yourself until you find you have once again gained control. Never post things online when you’re emotionally compromised. Recently I was on capitol hill chatting with a politician’s aide about a major social media slip up by another aide. You know…the typical gossip. What happened is the aide had gone out that night, and had one too many drinks. In his/her drunken stupor they thought it was a good idea to send out a personal tweet. Unfortunately the aide had been using the politician’s Twitter account, and they’re own Twitter account on the same phone. The end result was that the aide posted an inappropriate comment on the politician’s account on accident. What happened to the aide? He/she got fired. It’s really easy to make this mistake. So what are some things you can do to try to prevent this from happening to you? Use different browsers when managing different accounts. I use Chrome when managing my personal account, and Firefox when managing my business account. You could also use Internet Explorer. Using different browsers will help you to not accidentally post content to the wrong account. There are loads of mobile apps for managing your social networks when on the go. Using different mobile apps to manage different accounts will reduce the chances you post to the wrong account. We’ve all heard not to drink and drive. Same thing applies for sharing stuff with the world that has an infinite shelf life. When there is booze involved avoid publishing content to the internet. If you have someone else managing your accounts establish this as a rule upfront. If you go to my private Facebook account and you’re not my friend then you’ll notice I have things on lock down. I’ve went through and made most of my content relatively private. Not all accounts are like this, and sometimes you don’t want all of your content private. A common mistake people will often make is they will have their personal accounts public, and they’ll share content that they don’t want everyone to know about. Take time to figure out what stuff is private and what isn’t on your various social network accounts. If you think it’s a good idea to keep your personal accounts public then you might enjoy this little Facebook app. Do it…I dare you. Recently a Google + friend of mine, Mark Vang, pointed out the importance of not using copyrighted pictures. Since this conversation, I’ve been trying to not use copyrighted pictures in the content I share online. You’re not suppose to publish other people’s pictures unless you have their permission. If you take a picture from your smart phone then you technically own the rights for that picture, however, if you share it on a social network then you transfer the copyright to the social network. There have been a ton of cases where people will tweet pictures, and mainstream media will use their pictures without getting the consent of the photographer. Courts have ruled in favor of the mainstream media. 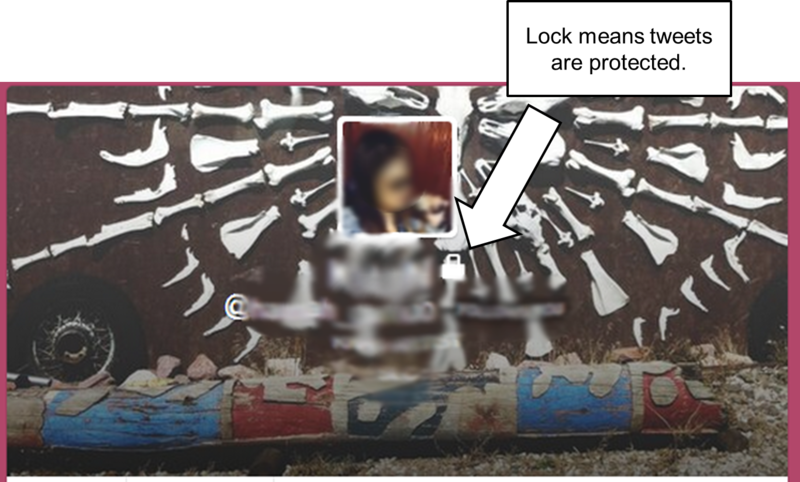 If you want to maintain ownership of your pictures…then don’t share them on social networks. Violating Intellectual Property on social networks can be a huge mistake for political individuals or organizations to make. It seems like the copyright holder may be more inclined to press charges if they don’t believe in your political ideology. *Disclaimer: I’m not a lawyer. I’ve talked social media with a lot of people who are completely new to it. One of the most prevalent misconceptions that I run across is that new users feel social networks are just another broadcasting channel like television or newspapers. As a consequence of this belief they end up sharing only their content, and don’t take the time to build relationships with their fans or followers. They always end up not having very many followers, and getting little to no engagement. This is a huge mistake, and it’s so common. Social media is not about broadcasting. It’s about relationship building. It’s about creating communities. Social network marketing is a lot like content marketing. One of your goals should be to build trust with your audience…it’s not to get them to vote for you. Here’s why. If you approach social networks with the attitude of getting people to vote for you, then you’ll approach it like a novice sales person who spams people asking them to buy his or her product. If you want to sell stuff on social networks you have to first develop trust with your potential customer, and then introduce them to your product only if it makes sense. If you want to get people to vote for you through social networks you need to build trust with them before you ask for their support. Many people recommend that 80% of the content you share comes from other sources outside of your organization, while 20% of the content you share comes from your campaign. This is the 80/20 rule. You do this because it builds trust. No one will trust you if the only content you share is exclusively from your organization. 80/20 might not be the correct ratio for your campaign. You should run micro-experiments and adjust the ratio until you find one that best accomplishes your social networking goals. Have genuine conversations with your followers and fans. Comment on their stuff. Approach your conversations from a learning perspective. Share other people’s content and make sure that you give them credit when it’s due. People love to be recognized, and it will mean a lot coming from a political candidate. I’m sure you’ve stumbled across a YouTube video where the comments were disabled or maybe you’ve posted on someone’s Facebook wall, and they deleted your post. These are an examples of censoring content. Some people think it’s a good idea to censor content arguing that it’s better to prevent the conversations, delete them, or ignore them. This is often big mistake. Here’s why. When you prevent conversations from happening in the first place you’re only inviting them to happen elsewhere…and they will. Having them happen in your ball court allows you to have some control over what’s being said. When you prevent a conversation then you’re inviting the person to take it to a place where you don’t have control. If you want to make someone’s blood boil delete their comments. When you delete someone’s comments they take out a personal vendetta to destroy you online. They will tell all of the friends, and complete strangers how horrible you are. It should be noted, however, that deleting comments isn’t always a bad thing. Sometimes you should delete comments, but you need to establish beforehand posting policies for your social networks. If you go to Congressman Bishop’s Facebook Fan Page you’ll notice that he has note that establishes a posting policy for his Fan Page. Creating a posting policy is a good idea for your social networking sites because it will allow you to handle inappropriate situations. For example, someone posts an inappropriate comment and you delete it informing the user that they violated your posting policy. Remember…don’t delete comments that are in compliance with your posting policy, or you may create an enemy out of a follower. No one likes to be ignored. It’s disrespectful. Take time to address every comment and concern your fans or followers may have with you. Whenever you open yourself up for public scrutiny, you need to be prepared for potential backlash. On November 14, JP Morgan promoted a Twitter chat with one of it’s senior executives. Soon an onslaught of tweets bombarded the hashtag #AskJPM. JP Morgan ended up having to shutdown the Twitter chat due to the negative publicly…which resulted in a news hay day where bloggers and journalists alike wrote extensively on the subject. Whenever you’re considering opening up a Twitter chat you need to be mindful of a few things. How are you currently perceived by the public? JP Morgan decided to open themselves up to questioning when going through a massive reputation crisis. Bad idea. JP Morgan left the Q&A relatively open. This is just inviting disaster. Make sure to have a defined topic you’re going to discuss or face the wrath of random comments. Be prepared to listen to everyone before responding. JP Morgan did a poor job at this. JP Morgan had James B. Lee Jr., JP Morgan’s Vice Chairman, run the Twitter chat. Lee has a Twitter account, but he’s never tweeted. Make sure to have someone with experience running a Twitter chat. Learn from JP Morgan’s mistake, and try not to make it yourself. So how do you respond to a negative comment or an angry follower? The first step is getting control over your emotions. It’s really easy to lose control when you face criticism or an irrational person. The second step is listening. Take time to figure out what their problem is, and why they feel that way. The third step is responding in a polite manner. Offer an apology and present a solution. This is your chance to turn an angry person into a vigilant supporter. This is your chance to get one more vote. Think about it this way. If a supporter came up to you and complained to your face would you ignore them? Would you have them escorted from your presence? Would you apologize without recommending a solution? Would you prevent people from ever interacting with you? Conversations on social networks should be treated like conversations in real life. Except the stakes are higher on social networks because conversations are generally public. If you want a great example of how to not respond then you should check out this PR disaster. Example of a protected Twitter account. Part of the work we do at PoliticIt involves indexing the social presences of every federal political candidate. As a result of this process, we literally encounter all kinds of different social media practices by various candidates. One of the biggest frustrations I have is when I come across a political candidate who has “protected tweets”. “Protected tweets” is an attempt to make your Twitter account private. Basically, people can’t read your tweets unless you approve them as a follower. This is a terrible mistakes that happens far too often. Here are the reasons why you shouldn’t protect your tweets. When your tweets are protected people that aren’t following you can’t view them. This means if you have something really important to share with everyone….you won’t be able to do so over Twitter. When people are browsing Twitter’s search engine for content your content won’t show up. This means less exposure for your campaign. Your profile is private. Twitter chats are out of the question. People can take screenshots of your tweets and share them. Your followers can also favorite your tweets which will expose them to other Twitter users too. A causal Twitter user may perceive you as a closed candidate. They may believe that when you’re elected you’re not going to be a very open politician. Who wants a representative that does backroom deals, or ignores their constituents? No one. You certainly don’t want this perception. When you perceive a social network channel as being “private” you may be more incline to share “private” messages that you don’t want the world to know about. Problem is…they aren’t private. If I was running against a candidate with a private Twitter feed I would do everything I could to read their tweets. They are probably sharing sensitive information that could be leveraged against them. Making your tweets private will reduce your It Score. Another fairly common mistake we come across is politicians using their personal Facebook page instead of setting up a Fan Page. Some rationalize this decision by stating that they’ll never have more than 5,000 fans or having a personal page allows them to send friend requests to people. These are terrible arguments. Here’s why. Fan Pages are indexed by Google. This means the content you share on your Fan Page helps you be more visible when people search for you on Google. Google will index status updates, links, and photos and videos that are shared on your Fan Page. This doesn’t happen with your personal page. With 85% of the U.S. adult population using the internet it’s very probable that a lot of voters are going to Google to learn about your campaign. Being visible in a Google search is critical. This reason alone should be enough to convince you to get a Fan Page, but I’ll continue to list off the other reasons as well. 67% of internet users are on Facebook. All of these users have a personal Facebook account. Most of them don’t have a Fan Page. Having a Fan Page sets you apart, and it makes you look a lot more professional. I’m willing to bet that if you’re running against an incumbent they probably have a Fan Page. You don’t want to be perceived as an “unprofessional” candidate. Get a Fan Page. Your personal page will only allow you to have 5,000 friends. That’s it. Even if you think 5,000 is enough you have no idea what your political future holds. If you’re going to invest a lot of time marketing yourself on Facebook it would be wise to use a Fan Page because the only certain thing in life is death. Be prepared for anything…including getting more than 5,000 fans. Having a Fan Page gives you the ability to provide some separation between your private and public life. Many of your current Facebook friends are probably not that excited to see news about the area you’re running in, or the fact that your opponent believes in universal healthcare. They don’t care. Besides you probably won’t be a politician forever, and you don’t want to burn bridges. Get two pages to avoid this problem. You want people to know that you’re running for office. If I was running for congress my page would say “Josh Light For Congress 2014”, and I’d probably have some cheesy tag line like “Choose The Right Vote For Light”. I’m not running for congress, but if I was running naming my page “Josh Light For Congress 2014” would a smart move. Why? Tagging. If you use your personal page when people mention you it would only show your name. When you use a Fan Page it would say your name plus the fact that you’re running for office. People need to be aware that you’re running for office. This will help get you more exposure which will lead to more votes. You can’t get analytics on your personal Facebook page through Facebook, but you can on your Fan Page. If you aren’t paying attention to metrics it will be difficult for you to refine your campaign message online, and be successful on Facebook. It’s a fact. Why make things harder on yourself? Get a Fan Page. Personal pages don’t have Facebook tabs. Facebook tabs are awesome because they allow you to describe yourself (add videos, about us page, etc), feature specific parts of your campaign, link out to your other social networks, build email lists, and run contests. 3rd party Facebook applications that are built to help you run contests on Facebook are only available for Fan Pages. I recommend using these apps if you want to run a contest. Get a Fan Page to use them. Facebook advertising is incredibly targeted because you can target ads towards specific demographics or interests. Personal pages don’t allow you to do advertising, but Fan Pages do. Get a Fan Page to take advantage of this excellent advertising channel. Admin rights allow you to easily have multiple people manage your Fan Page. You can even restrict what they can manage exactly. Personal pages don’t have this functionality built into it, which means if you want to have someone help you manage your Facebook account you’ll have to give them your password. They’ll also have free reign to do whatever they want on your page. When you have a Fan Page people can check into your location. They can’t do this with a personal page. When people check into your location it provides you with more exposure because their connections will be made aware of the check it. More exposure means more votes. When you post things to Facebook it actually discounts who sees your post. We talk about it in this blog post. Promoted posts is a way to get specific status updates more exposure. This is a powerful advertising tool if you’re looking to promote something on Facebook. Better get a Fan Page so you can utilize it. When you have a Fan Page you can use Facebook as your Fan Page. This allows you to “like” other political candidates or issues. When you like them other people see it. This is a way for you to associate your political brand with things that you endorse. Along these same lines you’ll receive updates from the things you like when you’re acting as your Fan Page. At PoliticIt we like political candidates pages so that we can gets news and updates from their campaign. You might find this helpful as well. We’ve already stated that every social network has different demographics. For your campaign this means you should be focusing on different issues on different social networks. For example, most Pinterest users are females. This means when you share things about your campaign on Pinterest you should probably focus on issues female voters are concerned about. You should also carefully examine the demographics of each social network to determine which social networks you’re going to focus on. Nothing in our world is static. Everything in life changes…so do social networks. A common mistake people make is to adopt a strategy and stick to it forever. To be successful on social networks you’re going to have to get used to conducting micro-tests. Micro-testing is the art of finding fast and inexpensive ways to test concepts. Once a concept works you can then invest more time and resources into scaling it. Find ways to micro-test your social media strategy, and make adjustments when necessary. Re-evaluate your strategy on a monthly basis. If you’re not hitting your goals consider making adjustments, but always be sure to test your adjustments before investing a lot of time and resources into it. For some reason, people obsess over the wrong metrics when attempting to measure their social media success. One common metric people seem to care about is how many followers they have. Yeah…having followers is important, but are they really that valuable if they never click or share your content? Sure you might expose them to your message, but they obviously don’t care about it if they’re not even bothering to click or share it. Engagement is when a person engages with your content (shares, clicks, retweets, comments, etc). Engagement is a better metric for tracking success relative to follower count because engagement tells you how interesting your content is to your followers. Also when users engage with your content it generally means that they are exposing your content to people outside of your network. Many beginners at content marketing are concerned about how many views or hits their articles get. Yeah this is important, but it must be viewed in the correct light. You have to consider your target market. For example, let’s say I was writing an article that was targeted to congressmen. This article would only really be interesting to congressmen…no one else would want to read or share it. I publish this article, and it gets 400 views. The next week I write an article that appeals to anyone who voted in the 2012 election. This article get’s 10,000 views. Which article was more successful? Well…there are 435 people in congress. Getting 400 views could potentially mean that ~91% of congress was exposed to the article. Whereas there was roughly 117 million people who voted in the 2012 election. 10,000 views translates into ~0.01% of the voting population being exposed to the article. Obviously…the congressional article had the biggest impact even though it didn’t have the most views. When you publish content to social networks remember who you’re targeting, and take that in consideration when calculating the impact. A fairly common mistake a lot of social media marketers will make is to not benchmark against competitors. For politics this means looking at the people you’re running against, and working to get more followers, and engagement relative to them. 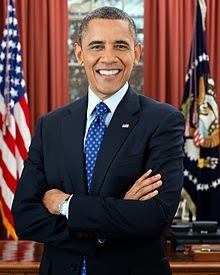 What it doesn’t mean is benchmarking yourself against an insanely powerful social media presence like Barack Obama. Whatever you use as metrics for success try to benchmark yourself against the individuals you’re running against. In politics it’s all about beating your opponent, not some celebrity. You only need to outperform your competitors to win. Going into anything without applying some kind of strategic thought is usually a poor move. Come up with metrics to measure your success. This could be building your political brand, getting votes, getting more volunteers, getting people to commit to voting, or getting engagement. A good way to measure these metrics is to create landing pages. For example, you may create a landing page on your website where people can submit the fact that they’re going to vote for you. Who are you planning on targeting in your campaign? Have you done any polling to figure out your levels of support for various demographics? Have you looked at historical voting patterns in your area for specific demographics? Look at this data and determine what levels of support you need from various demographics to win. Think about the types of issues they’re concerned about. Think about the types of content they share, or like. Think about the types of people who influence each demographic. Look at the demographics of each social network to figure out which ones you should focus on. Look at the viral nature of each social network. Think about how many connections each demographic will likely have to determine which one is most valuable to target for engagement purposes. Look at how much of an impact each social network has for SEO. Do things online that will help voters find you on search engines. Every political campaign has core issues that they focus on. Define your core issues, and determine which networks you should focus your issues on based on the demographics of each social network. Figure out how much time you’re going to spend on each social network. Create weekly, and quarterly goals for each of your objectives. How many clicks do you want to get in week 1? How many followers do you want to have after 3 months. Make sure that your goals are reachable, and not too lofty. Make sure that your team around social media marketing is aware of these goals, and thinks that they are possible to achieve. Decide who is going to execute the social media strategy. Create accountability with every member involved. Make sure that you have quality control mechanisms in place to ensure that things aren’t posted that are inappropriate for the campaign. Set up weekly meetings to discuss what is working and what isn’t. Make adjustments when necessary, and watch your It Score. I joined Myspace back in 2003. One of the things I did at first was to debate people who didn’t believe the same things I did. I’ve noticed over the years that this tends to be a common thing a lot of new social media users will do. Most public debates I’ve seen on social networks happen relatively quickly. 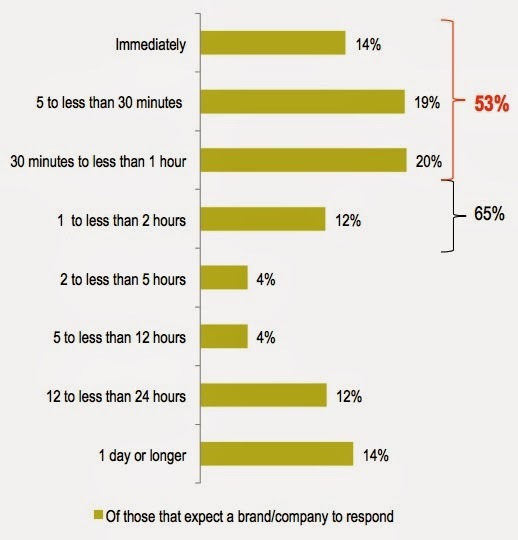 People send responses in 5 minute intervals or less. This is dangerous because if you get emotionally compromised you may end up stating something that is inappropriate. Remember…what you publish online can exist there forever. One simple comment in the heat of public debate online could ruin your political career. If you do debate online be sure to take time to overcome your emotions before posting a response. 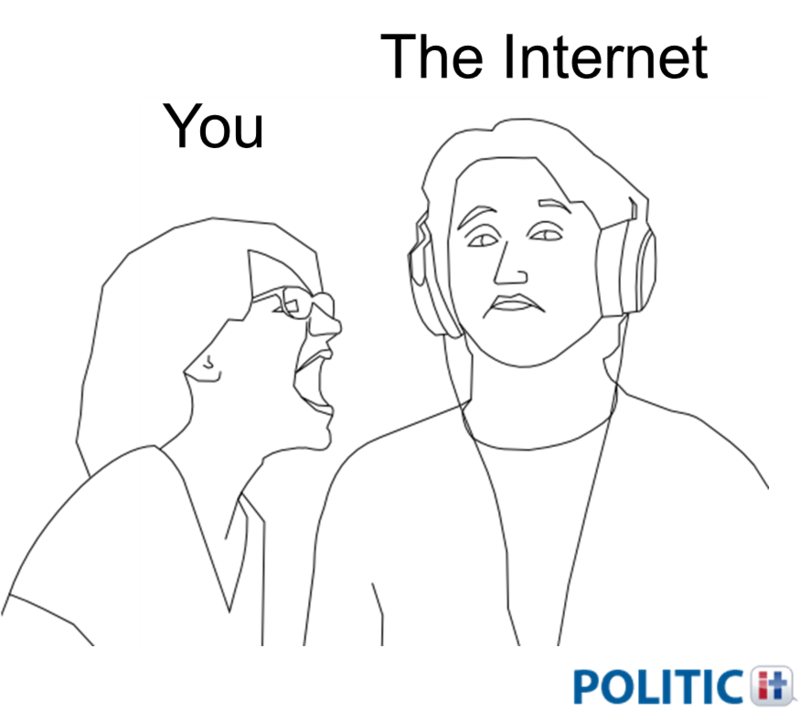 Most online debates I’ve seen are spontaneous. Some user has posted something so offensive to you that you feel compelled to comment. In debates it’s usually to your advantage to put considerable thought into how you feel about the specific issue prior to debating. If you don’t you tend to bounce around, and present horrible rebuttals. If someone posts something that is truly offensive to you, and you feel compelled to respond be sure to invest a considerable amount of time in debate preparation before commenting. In most online debates the people involved are usually lashing out in an irrational mannerism because they’re so emotionally compromised. It’s almost impossible to convince an emotionally compromised person of anything. Online debaters still try to do it. It’s silly. When debating online consider that you’re not trying to convince the person your debating with…you’re trying to sway the audience of people following the debate. The first part of this response is complimenting them. You want the first part of your response to not be offensive. Complimenting them takes them off the defensive, and helps prepare them for a civil conversation. The second part is an attempt to make the conversation more “private”. For some reason…when you make the conversation more private people will generally be a little more civil. They probably feel less obligated to lash out when there isn’t an audience. Notice the second response openly says that you disagree with them. It’s fine to disagree with people online if you actually do, but you should remember that your goal is to move the conversation into a more private venue. Try to avoid public debates online, and when you have to debate try to make it as “private” as possible.